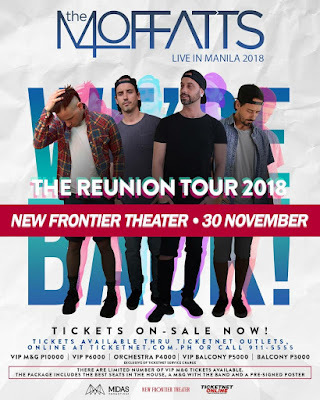 Midas Promotions is happy to announce that The Moffatts will return to Manila for their REUNION TOUR on the 30th of November, 2018. They will be performing an intimate live set at the The New Frontier Theatre. Tickets are now on sale all TicketNet outlets, ticketnet.com.ph, or call 911-5555.